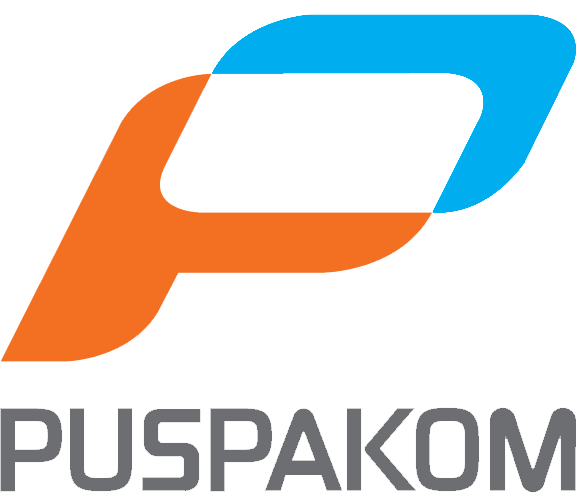 Puspakom Sdn Bhd (PUSPAKOM) is Malaysia's first and only comprehensive national vehicle inspection company appointed by the Malaysian Government to undertake all mandatory inspections for both commercial and private vehicles. Incorporated in 1994, we are a wholly-owned subsidiary of DRB-HICOM Berhad. Our main roles are to conduct inspection on vehicles as to assist vehicle owners in ensuring the safety and roadworthiness of their vehicles as well as to ensure vehicle owners are in compliance with the regulations on preserving the environment via the emission test. This will be done through our strict and thorough inspection on vehicles to ensure they conform to the Government's safety and emission regulations. Every year, PUSPAKOM performs more than 3 million vehicle inspections. PUSPAKOM has established a nationwide network of 56 full-fledged and well-equipped inspection centres, complemented by more than 25 inspection visiting sites that provide vehicle inspection services in Malaysia’s less populated and rural areas. PUSPAKOM’s Mobile Inspection Services which comprise of Mobile Truck, Mobile Van and Light Mobile, also provide convenient and hassle-free door-to-door vehicle inspection services to our individual and corporate customers. We pride ourselves in delivering fast, efficient and accurate vehicle inspection that are of professional standard.